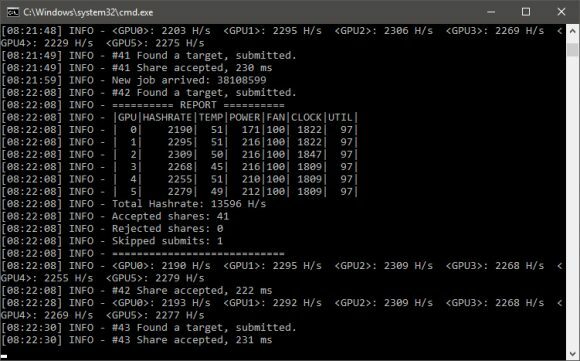 The latest release of the NebuTech BTMiner Nvidia GPU miner version 8.0 for mining Bytom (BTM) claims once more the top spot in terms of performance with the ongoing competition with Bminer. The latest NebuTech miner comes with higher hashrate by 10-15% over the previous release and improved pool efficiency, so you should be getting even better results with it. We remind you that the NebuTech BTMiner is a closed source Bytom (BTM) GPU miner for Nvidia CUDA that is available for both Windows and Linux operating systems and it has a 3% developer fee built-in. The full changelog of the new NebuTech BTMiner 8.0 is available below, but the performance improvements are pretty much the most important ones anyway in our opinion. – Improved hashrate 10% – 15%. – Lower skipped share rate, increase actual hashrate on mining pool. – Added display for mining pool latency. – Added display for mining pool difficulty. – Improve API web monitor.